Trident Iceni, 6600cc; Aston Martin, 6000cc; Marcos Mantis, 4600cc; Morgan Aero 8, 4600cc. There are some big, chunky, noisy engines in the GTC and GT3 classes of the 2006 British GT Championship; so naturally, Lotus Sport Cadena has equipped its new Exiges with, er, 1800cc engines. The 88 car was the star of the 2004 dailysportscar.com Cup Class, doing things that nobody (except Gavan Kershaw Racing) believed an Elise could do. With the exception of the Silverstone GP Circuit, with its long straights, the Elise was a front-runner throughout the whole season, taking three wins and three podia (including, it has to be said, a second place at Silverstone on those long straights). 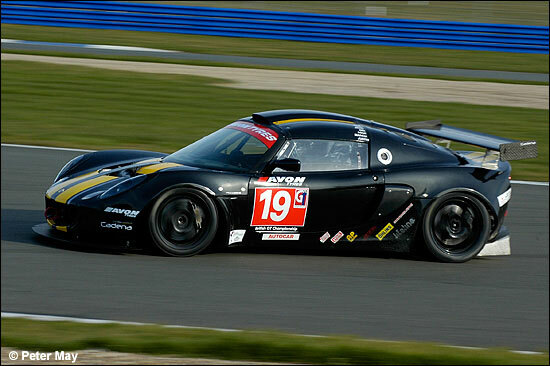 After a year of running a Mosler in BGT and FIA, Cadena is back, with in partnership with Lotus Sport, to develop the Exige S-derived racer towards the FIA GT3 Championship in 2007 and beyond. This development should yield in excess of 300bhp from the small block before too long. The two cars to be campaigned in this year’s championship, in GT3, are still being built, so Gavan Kershaw was putting more mileage yesterday on Lotus Sport’s test vehicle. This car has tested at Paul Ricard twice (finding seven seconds between the tests and with much more to come), but is not yet the finished article, with some out-of-the-box thinking being applied in the quest for speed and reliability, “We’re trying things with this car, in terms of settings and components, that you wouldn’t see with any other race team,” said Kershaw. The move to Hethel is a huge positive for the team (and, indeed, Lotus, with the manufacturer’s plans to turn Hethel into a centre for motor racing excellence) as it allows them the opportunity to use the track and test facilities at short notice, enabling the pace of development to be increased. 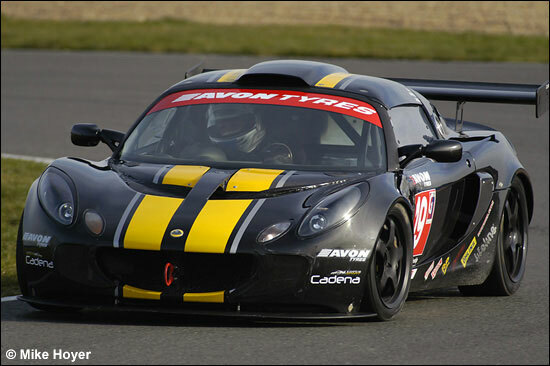 The second Exige will be driven by George Mackintosh and Sam Blogg, both experienced and successful Elise racers in the AMOC Mid-Engined Sportscar Championship. The Exiges add greatly to the refreshing diversity of the 2006 BGT field; but the legacy of car 88 is a lot to live up to and the competition has only improved since 2004. It is exceedingly unlikely that Lotus Sport Cadena will not be up to the challenge.